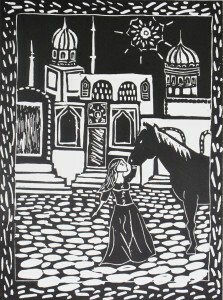 Home > Blog > News > Art students’ work at Wellesley Books! Wellesley Books will display Dana art students’ work for a week, this Sunday Mar. 3 through Saturday Mar. 9! Take a stroll into town to admire them. The students created block prints based on fairy tales from other countries — which they read in books checked out of the library, of course. 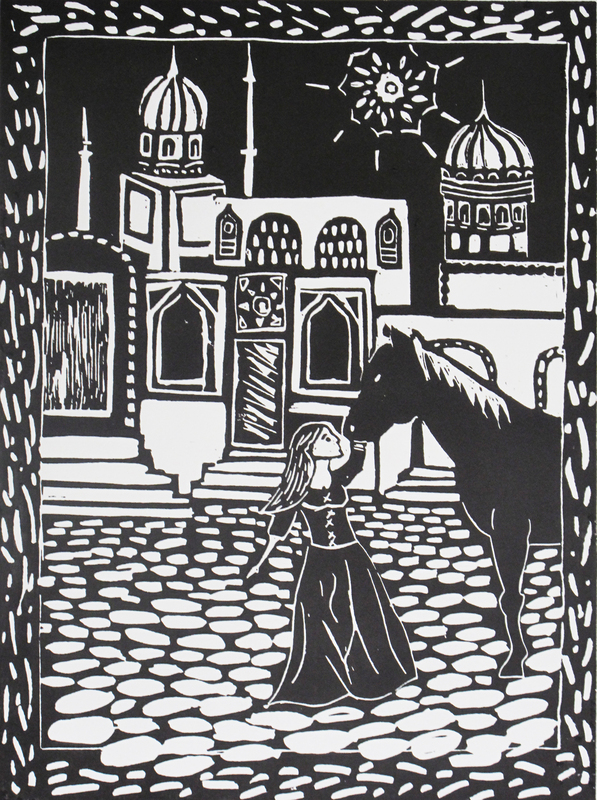 Art by Darby McL., based on “The Prince and the Red Horse Husband” from The Art of the Turkish Tale.